SXSW ’18 print by Doyle Now Available! Official SXSW ’18 print by Doyle! Tim Doyle was commissioned by SXSW to produce the official festival poster this year, and we are now offering the remaining copies on Nakatomi! Originally an edition of 300 copies, less than 50 remain for websales. 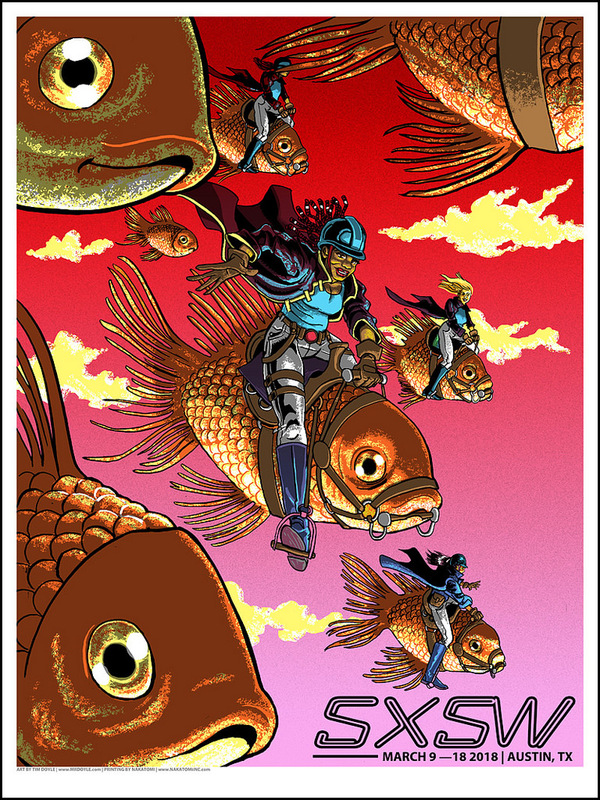 “Ride of the Fish-Valkyries” measures 18×24 and is signed and numbered by Tim Doyle in an edition of 300. Pick one up HERE while supplies last. ← ZOOBALL by Paul Pope! Now on Sale- plus BONUS print!